It seems that Nate has alot of lovers out there- what a lucky man! Jamilyn from Living it at Home!! 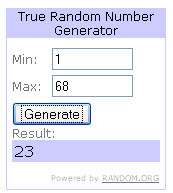 She was lucky #23 so she is the winner of our famous boyfriend's book. Jamilyn, email me your address so I can get the book out to you asap! 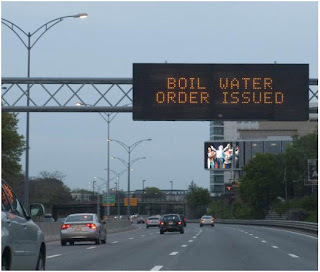 A friggin boil water order!! A pipe burst in Boston leaving over 2 million people with bacteria filled water- yummy right? We can not drink our water, wash our hands, wash our dishes, brush our teeth, etc., but most importantly this morning... MAKE COFFEE! And neither can Starbucks, Dunks or any other restaurant in the area, so sad. Needless to say I am a little sleepy. Yikes, Linds! Hope you showered last night...I see baby wipes and a second coat of deodorant in your near future. Come on over and I will make you a fresh cup and let your inner bridezilla out. Talk about messin with your plans....fresh water back to you soon!!!! thank God your wedding wasn't this week! yikes! OMG what a disaster, how is that possible?! No coffee is the biggest downside of this water mess!! I'm fine with not washing dishes, but take away my coffee and we have problems! Sorry for the loss of coffee. That's truly devastating. Oh wow!! No coffee?? I could last a day without the rest but coffee??? I'd have to go back to bed! Congrats to the winner!! 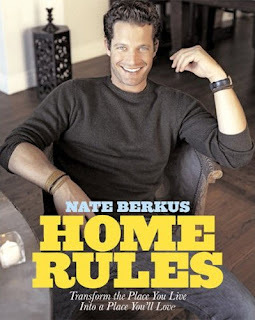 It's a great book! I have had my copy for a year or so now, and it's still on the nightstand!! I can't wait for this to be over! What a pain. At least we have water, though, even if we can't drink it. slightly confused, boil water but no coffee? isn't coffee made with boiling water? sors for you either way. coffee is my best friend. sadface. OK-so I just found out that I won. I have been cleaning and living under my rock this week! I really cannot believe it. I have been having good luck lately and will have to say that #23 is my new lucky number now! This is very exciting and I have started a very small collection of decor books and I cannot wait to add that cutie, Nate, to my shelves. Maybe I will just stand it up facing out so I can gaze at it everyday! Just wanted to let you know that I sent my mailing info. to your gmail address. Thanks again!